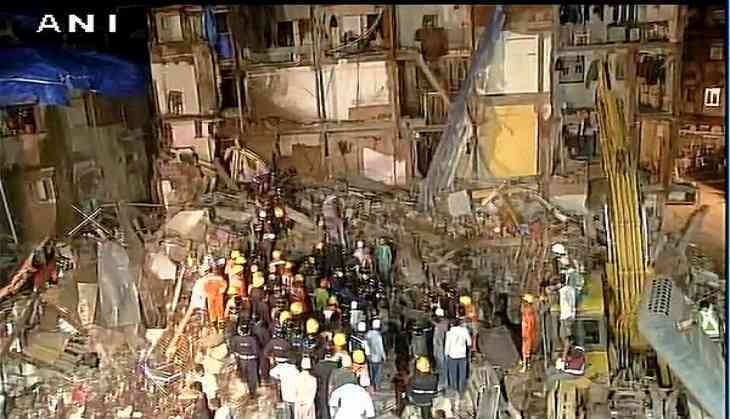 The death toll in the Bhendi Bazaar building collapse now stands at 33, with more bodies being recovered from the debris of Husaini Building. The Director General of National Disaster Response Force (NDRF), Sanjay Kumar, informed at least 13 people were saved in rescue operation. Sanjay Kumar told ANI, "As per the information now, 13 people were saved and 33 bodies are recovered." Kumar further informed that their three teams were continuously working at the accident site. "Our three teams are continously working there. They have many types of equipment with them, including dog squads. They have kept some equipment to work even in night," he mentioned. Prime Minister Narendra Modi on 31 August expressed grief over the Mumbai's Bhendi Bazaar building collapse and also condoled the death of people in the tragic incident. "Collapse of building in Mumbai is saddening. My condolences to families of those who lost their lives & prayers with the injured," the Prime Minister said in a tweet. A three-storey building collapsed on 31 August in Mumbai 's Bhindi, following which Maharashtra Chief Minister Devendra Fadnavis announced an ex-gratia of Rs. 5 lakh for the kin of the deceased. Taking stock of the situation, the Chief Minister also assured that an action would be taken in case of any negligence in the incident. The Chief Minister visited the incident spot and also ordered a detailed inquiry into the matter. "An action will be taken in case of any negligence. I am personally monitoring the situation," Fadnavis told the media here.